And here’s another project we found out about thanks to Animation Magazine: “A new CG-animated, uplifting TV special featuring an all-star British voice cast is underway! Lending their talents to Master Moley (currently in production) are Star Wars franchise regular Warwick Davis, The Escape star Gemma Arterton, Emmy and BAFTA nominee Charles Dance, two-time Oscar nominee Julie Walters, and Golden Globe nominee Richard E. Grant. The 30-minute special, based on an original story conceived as a bedtime tale by James Reatchlous, will follows the adventures of a mole who wishes to be the keeper of a magic book which has the power to bring peace between humans and moles. 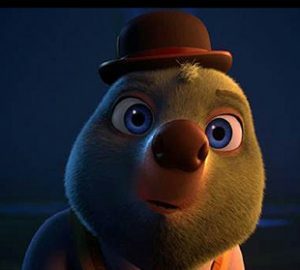 Master Moley is being directed by Leon Joosen (animator on Space Jam, The Rescuers Down Under, The Little Mermaid, Oliver & Company, et al), from a script by Ricky Roxburgh (Tangled: The Series) and Arthur Landon.” No word yet on when they plan to complete this, so stay tooned!